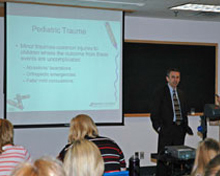 As an expert consultant, Dr. Petrack assists law firms with review of cases related to a wide range of clinical concerns in pediatric emergency care. He provides honest, specific feedback and assessments based on 20 years of experience in the field (still actively practicing) and current standards of care, and is comfortable with oral and video depositions. If you seek expert review and testimony related specifically to pediatric emergency care or urgent care, Dr. Petrack looks forward to assisting you with a rapid and thorough review of your case. 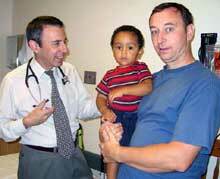 Click here for "How to Reduce Pediatric Medical Legal Risk in Your ED or Practice."